EOSreel’s token distribution plan is extremely miner/user-friendly structure. Most Dapps should be responsible for ROI to investors since they have received investment. They sometimes distribute large amounts of tokens for team to maximize profit. All of these elements will appear in their token distribution plan. From this point of view, EOSreel can be very different. EOSreel received no investment, meaning there is no token sale to be responsible for investors. Unlike other Dapps, EOSreel distributes 75% of total supply on mining while distributing only 12% for its team. 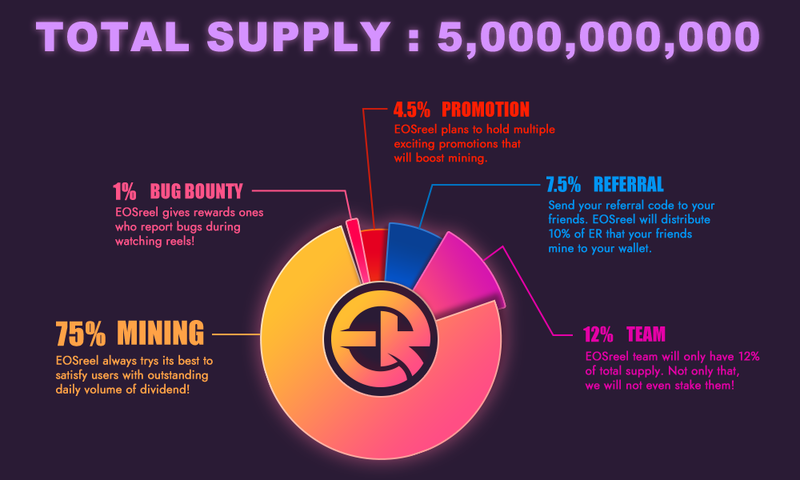 EOSreel set a total of 15 mining stages with an output of 250 million ER each. 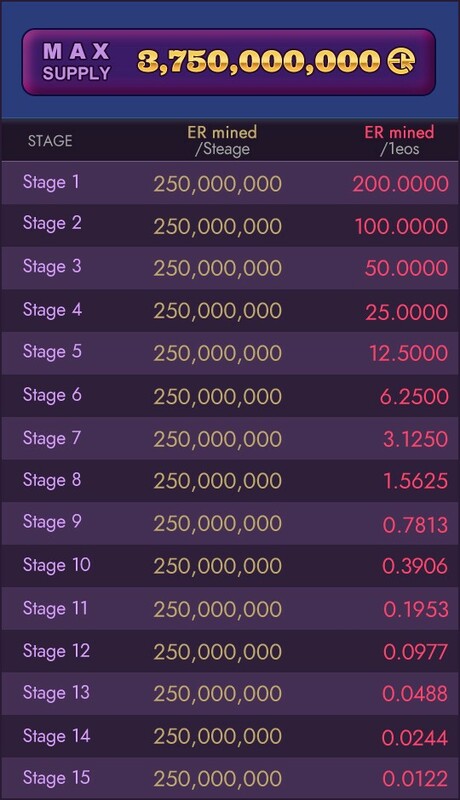 Each stage generates different ER amount proportional with same EOS input, meaning it will have halved each time it goes through each stage. We will distribute only 12% of total supply to ourselves and we will not stake them for dividends. We tried to build a fine mining environment for miners by excluding huge share of dividend at the beginning. We will try our best to maximize our profit by enhancing the value of ER in the market and driving fine daily dividend to users.